Our 15 year old daughter wanted to take a surfing lesson while on vacation. 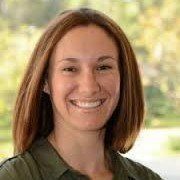 I chose this company because we wanted her to have an experience that was focused on her alone instead of a large group experience. Josh was patient, supportive, informative & upbeat the entire time. Another plus is this company is one of the few focused on protecting the fragile Eco system. He informed us about the harm sunscreen has on the reef & discourages the use of booties which promotes touching the ocean bottom & disturbs the habitat for all the creatures who are dependent on the reef for their survival. There are sunscreens that are safer for the ocean or wear a long sleeve rash guard. He taught her how to lower herself once the ride was over versus jumping off. He showed her how to slow down so as not to how a longer distance to paddle back out to the waves. Interestingly, as a large surfing school showed up, there they were pouring the sunscreen on, wearing booties, & horrifically the instructor stood on top of the reed to assist the surfers. Their boards were patched with duck tape & it was a large group. We were glad to be done & on our way when the big groups showed up. We highly recommend this company! 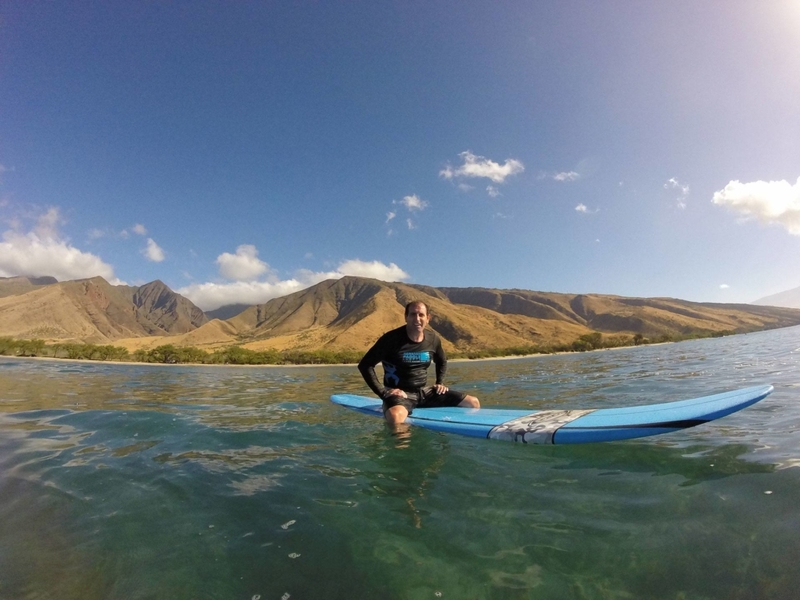 A lot of people visit Maui and never learn how to surf… even after taking a Surf Lesson! Unfortunately some Maui ‘surf schools‘ are designed like cattle farms, get ’em in and get ’em out. If you can get them standing on board long enough for a photographer to snap a photo, available for purchase later, then you’ve done your job. There is little to no instruction on how to actually catch a wave, which waves to catch and then what to do once you’re up and surfing. 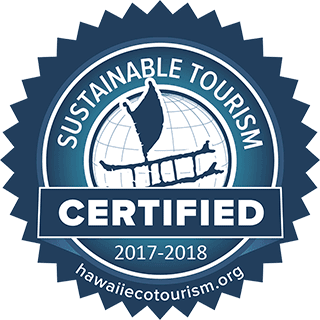 At Hawaiian Paddle Sports, we’ve made it our goal to change that. Our passionate surf instructors are accomplished surfers who have the patience and attention to detail required to stoke you out on your first wave. Standing up on a board and riding a wave is the easy and fun part of surfing, but there is a lot that you will need to know before you get there. Surf etiquette, wave selection, where to be positioned on your board, paddling for the wave and how to jump up are skills that take time and practice to master. These are the skills our instructors will explain to you and help you understand. 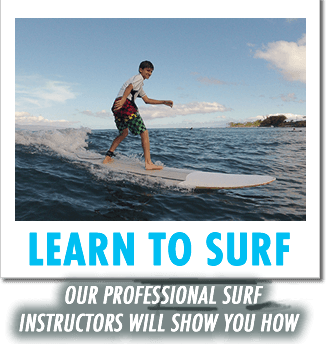 They will assist you with these skills in the beginning of your surf lesson and hopefully allow you to build into them by yourself towards the end. Not every day is the same, wave and weather conditions affect surf lessons. 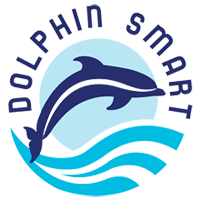 Comfort in the ocean, fitness level, height and weight also play a part in how easy or challenging a first time lesson can be. 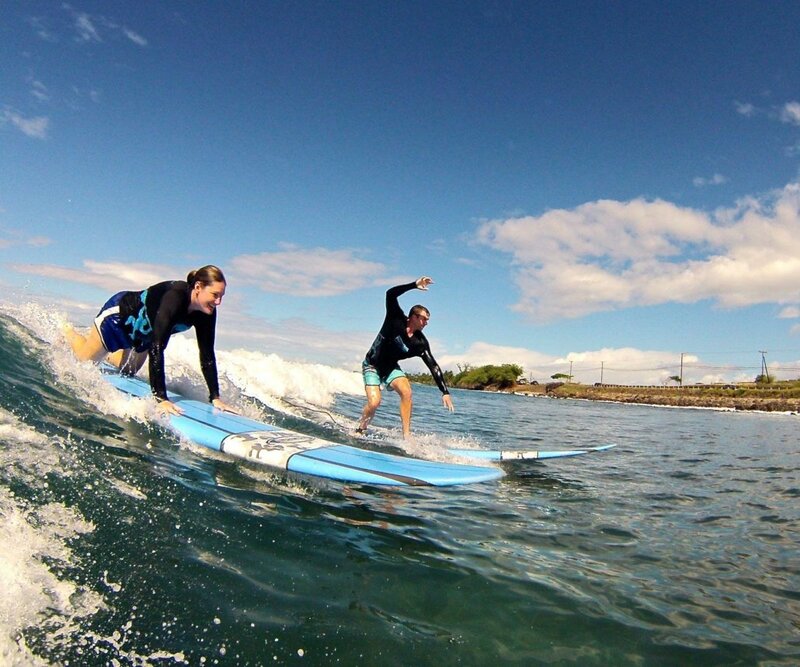 In a private surf lesson you don’t have to worry about other guests ability, or lack there of. 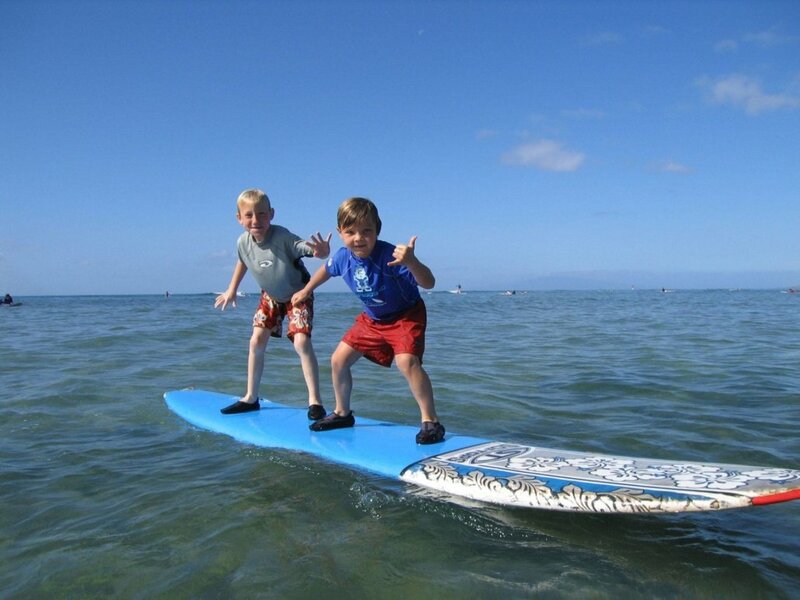 You’ll have your surf guides undivided attention on your party so they give you the attention required for the most memorable surf lessons in Maui. If you’ve taken a surf lesson already and you’ll looking to progress your surfing ability or style, we can help with that also. 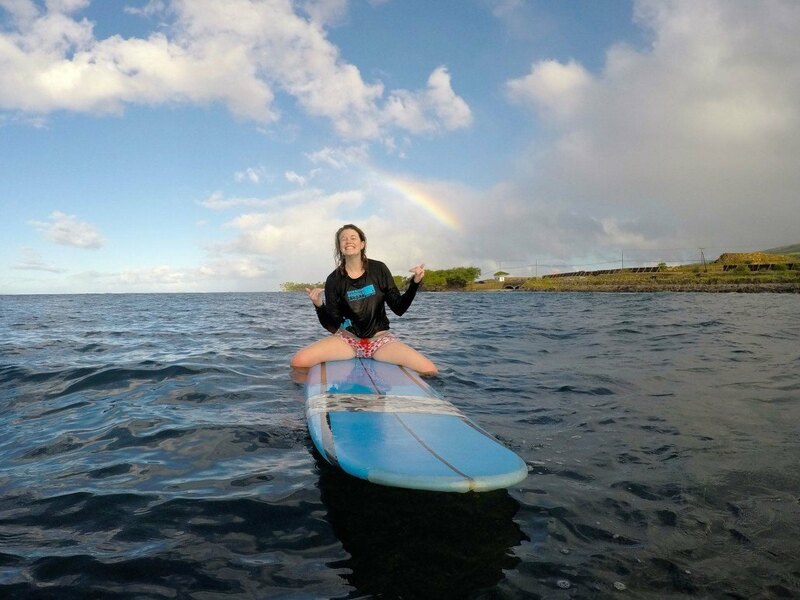 Give us a call today and let our knowledgeable staff steer you in the right direction for a Maui surfing adventure whether its your first or 100th time! You might also enjoy learning more about Surfing Etiquette. 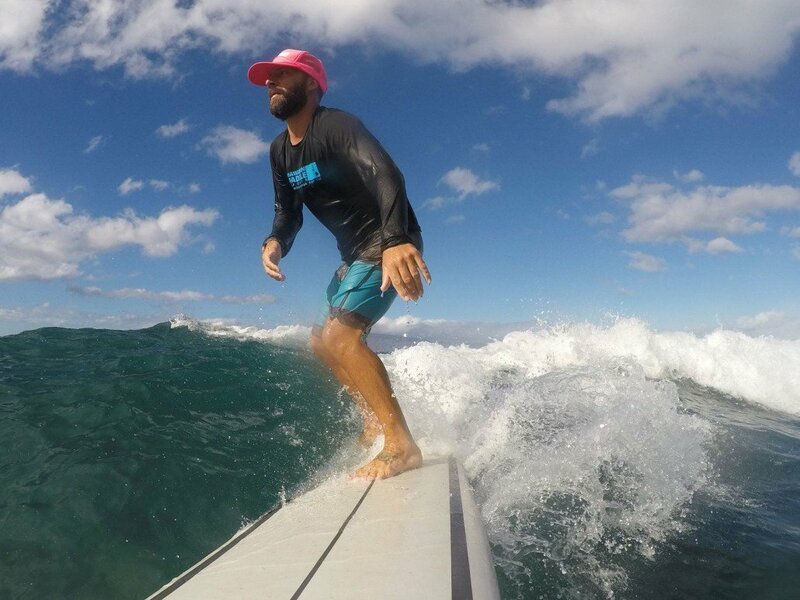 If you don’t get up and Surf in one easy surf lesson, your next surfing lesson is FREE! 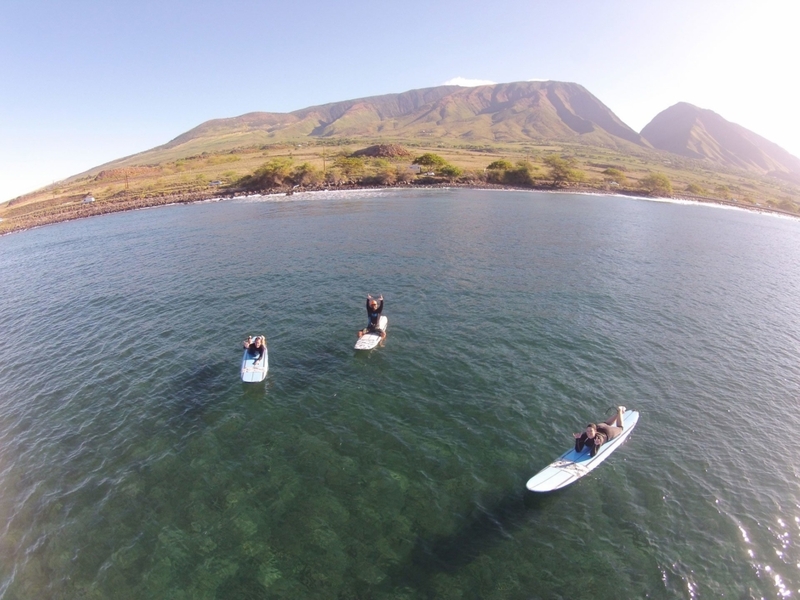 That’s how confident we are in our Maui surf lessons instructors, and for good reason. 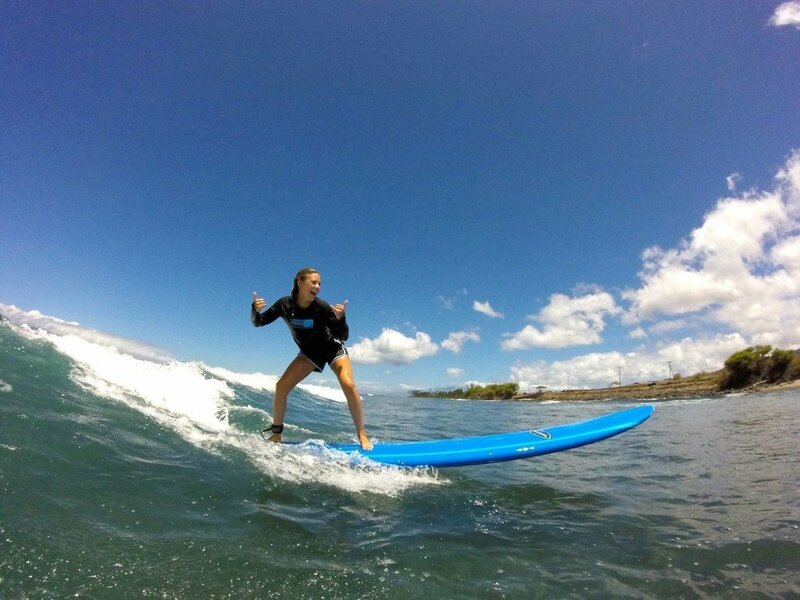 At Hawaiian Paddle Sports your surfing instruction will come from an accomplished Surfer, for whom surfing isn’t a sport but a way of life. 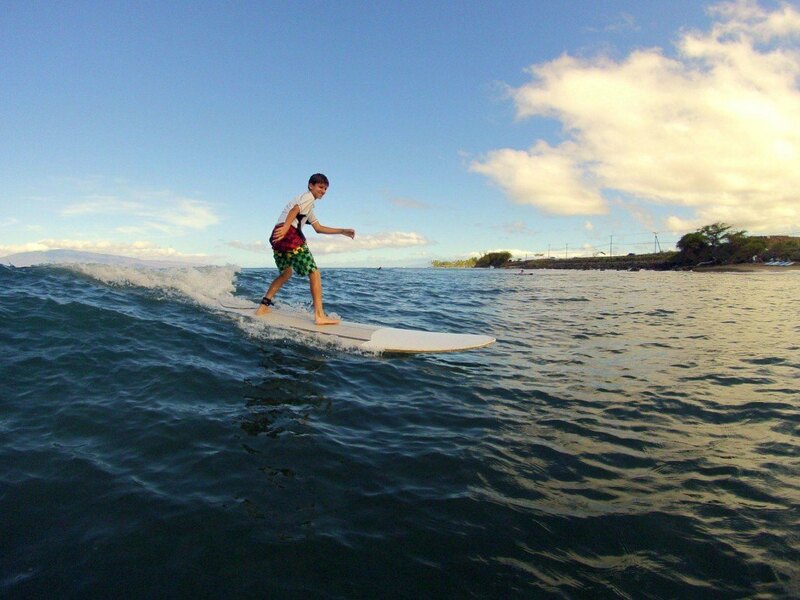 Our Private Maui Surf Lessons get you away from the Large “Surf Schools” in Kihei and Lahaina so that we can take time required to teach you to SURF…not to simply stand up on a board. * Book your Private “Guaranteed to Surf” Surfing Lessons Today! 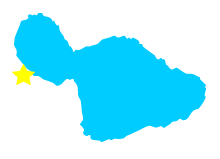 *Location will be chosen by Hawaiian Paddle Sports based on weather/surf conditions. 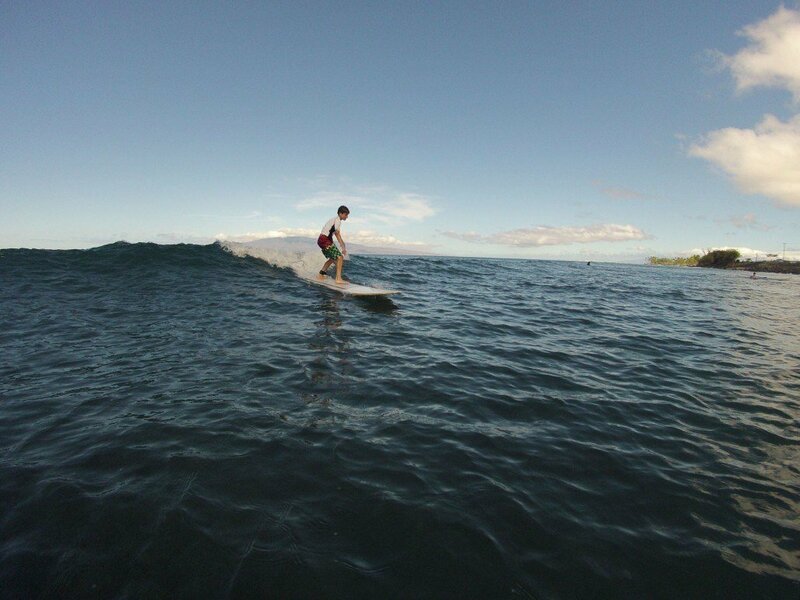 Why a Private Surf Lesson On Maui? A private surf lesson will allow our guides to cater their instruction to your ability so you can have a memorable and authentic surfing experience. Although Surfing is something almost everyone can do we realize people come from backgrounds and comfort in the ocean. When a Surf Instructor doesn’t have to manage multiple groups fitness levels and expectations they are able to provide a lesson catered to one parties needs. In our private surfing lessons our instructors will have the time to share with you how to surf, not just stand up, Where Waves Come From, what causes waves to break and how, Surfing Etiquette, wave selection and of course proper technique.